Conveyors can take many forms but all relate to a simple condition: a thin surface that moves underneath a part causing it to move. Hoosier Feeder Company offers all kinds of conveyors to fit your application, whether you need robust and durable conveyors for heavy parts or light, flexible conveyance for high-speed applications. Consider some of our most standard conveyors featured below and never hesitate to reach out to begin your next project. 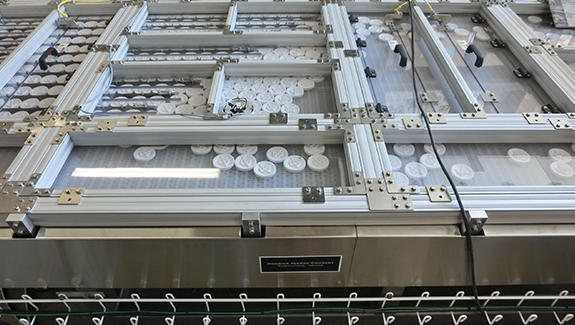 The industry standard, durable conveyor belt platform for process automation applications. A conveyor system which uses a plastic belt made up of many individual hinged sections to form the flexible running surface. Part conveyance for the strictly regulated food industry, made from FDA approved materials. 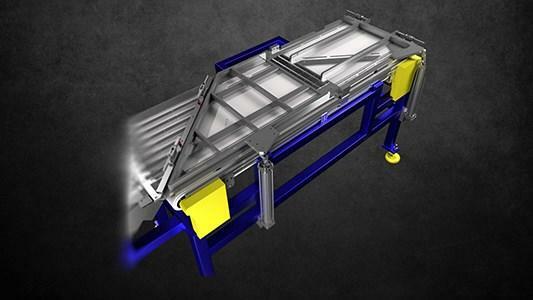 A versatile conveyor platform to suit your heavy duty, abrasive, or high temperature needs.